Carbon monoxide – an odorless, colorless and tasteless gas found in gasoline engine exhaust – can be a stealthy and deadly enemy of recreational boaters. Boats release carbon monoxide whenever their motors are running. Carbon monoxide is also produced by gasoline generators, cooking ranges, and space and water heaters. Carbon monoxide kills by rapidly replacing oxygen in the blood and tissues when inhaled. Because carbon monoxide poisoning can occur whether exposed for a short time or for longer, sometimes even during outdoor activities, it’s important for boaters to be aware of the dangers. 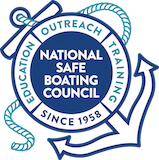 Read BoatBeat’s General Best Practices, in addition to the following tips, for more recommendation and information. Hazards and Dangers: Share that recreational boaters need to be aware of the silent but deadly aspects of carbon monoxide and steps to prevent carbon monoxide poisoning in outdoor situations. American Boat & Yacht Council, Inc.